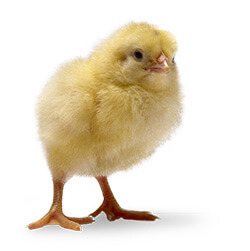 Two target animal safety studies demonstrated that Exzolt was well tolerated and normally palatable in chicks and adult hens, even when dosed at 15-times the intended total dosage. In breeder chickens, a reproductive safety study demonstrated that Exzolt is well tolerated even at six-times the intended total dosage. There are no adverse effects on fertility, hatchability, chick viability or overall reproductive performance. Eggs from hens treated with Exzolt are completely safe for consumers and no withdrawal period is necessary before collection of eggs for human consumption – even on the day of treatment or between treatment days. A withdrawal period of 14 days after the last administration of Exzolt is required for human consumption of meat and offal. The use of Exzolt at the recommended daily dose rate of 0.5 mg/kg BW twice at a seven-day interval offers a wide margin of safety for all classes of pullets, breeders and layers and does not impact rates of water consumption. The results of studies conducted in 2006 revealed that mass red mite (Dermanyssus gallinae) invasions cause somatic stress which may be responsible for the pathophysiological mechanism of decreased egg production, lower humoral immunity and higher mortality in layer hens. The study investigated 36 HY-Line Brown layer hens divided into three groups: a non-infested control group, an experimental group infested with red mites and a non-infested experimental group subjected to acute immobilization stress for 1.5 hours. 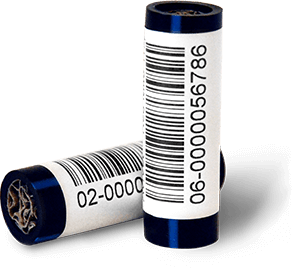 Blood samples were taken from all hens for the determination of the levels of corticosterone, adrenaline, noradrenaline, albumin, and α-, β- and ϒ-globulins. Poultry red mite infestation represents a major threat to layer welfare, with up to 94%2-4 of production houses infested in Europe. The recent ban of traditional cages has caused the move to complex housing environments, favoring the proliferation of poultry red mites. Mite populations induce a high level of stress, due to the massive density of mites feeding on birds, repeated pain and skin irritation due to parasite bites, and the increased risk of feather pecking and cannibalism. Poultry red mites decrease general health and productivity parameters. 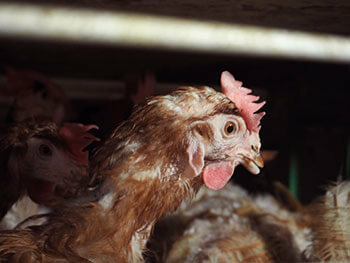 The few treatments approved for use in the presence of hens are mostly sprays that are stressful to treated animals. In addition, the furnished cages and non-cage housing systems tend to decrease the access of sprayed products to the mites, which further reduces their efficacy. Exzolt offers a new systemic mite treatment, which is not stressful to the birds and ensures that mites are exposed to the product when feeding. 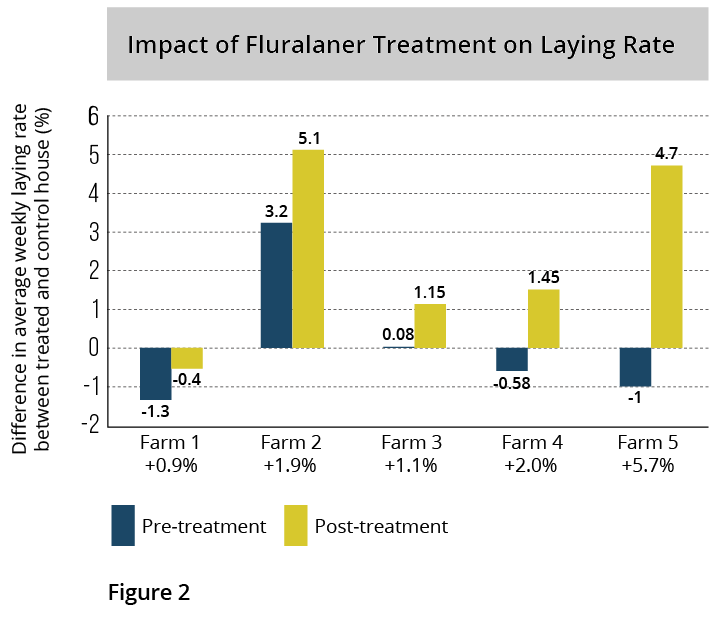 A negatively-controlled field study, involving five mite-infested enriched caged layer farms in France and Spain, evaluated the effects of Exzolt treatment on production well-being indicators 89 to 178 days post-treatment. 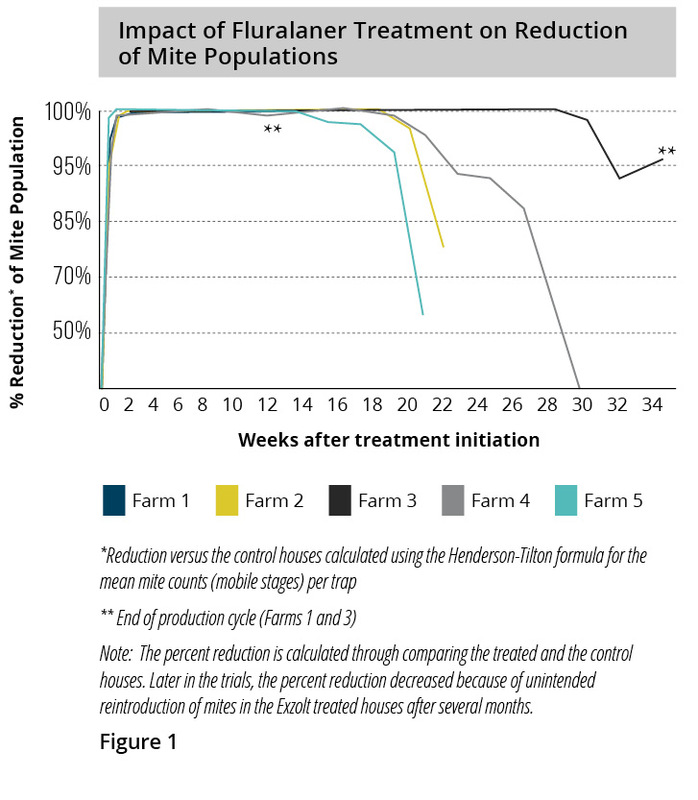 The mean mite counts per trap decreased dramatically in all treated houses and mite populations were decreased by over 99% after the completion of treatment (Figure 1). This effect was maintained above 90% until the end of the observation period, i.e. until the scheduled end of the production cycle (3 and 8 months post-treatment) in two farms or until a regrowth of the mite population (4 to 5 months post-treatment) in three farms. In all farms, the control of mite populations was associated with increased laying rates (0.9 to 5.7%) (Figure 2) and decreased mortality (0.01 to 0.15%). No treatment related side effects were observed. The proportion of downgraded eggs, measured in one farm, decreased by 3.4% (Figure 3). The study demonstrated that systemic treatment with Exzolt resulted in safe and non-stressful control of poultry red mites, which positively impacted layers’ welfare. 1 Kowalski A, Sokol R. Influence of Dermanyssus gallinae (poultry red mite) invasion on the plasma levels of corticosterone, catecholamines and proteins in layer hens. Polish J Vet Sci 2005; 12:231-235. 2 Mul M. Fact sheet: the poultry red mite, Dermanyssus gallinae (De Geer, 1778) A small pest that packs a big punch. Wageningen UR, 2013. 3 George DR, Finn RD, Graham KM, Mul MF, Maurer V, Moro CV, Sparagano O. Should the poultry red mite Dermanyssus gallinae be of wider concern for veterinary and medical science? Parasites & Vectors 2015; 8:178. 4 Guy, JH, Khajavi M, Hlalel MM, Sparagano O. Red mite (Dermanyssus gallinae) prevalence in laying units in Northern England. Br Poultry Sci 2004; 45: 5-6.